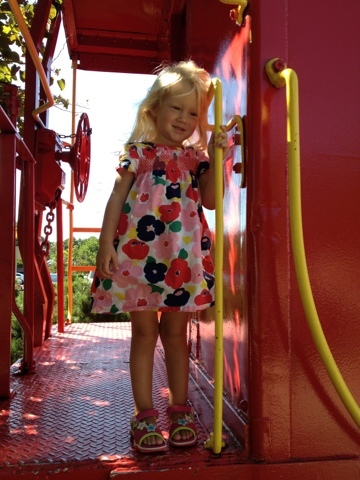 Adelynn and I went to see the trains and visit the Farmers Market. I really love that the trains are there with a retired caboose for the kids to play on. 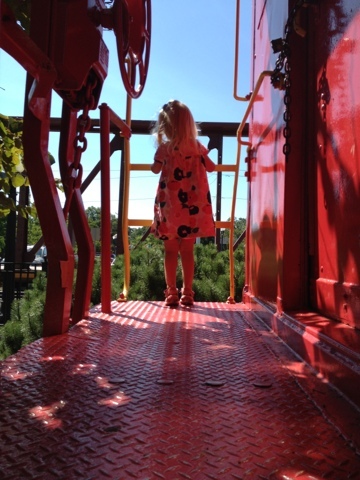 After we chose our fruit and vegetables I let Adelynn play on the caboose. Luck for us it was a busy rail day. We were able to see 3 trains pass by in the hour we were there. That's busy! Usually about 1 an hour is busy. She enjoyed being look out for the next train. As she gets older I wonder if trains will still be as interesting to her as they have been in the past. I think trains will always be a draw for her. The train table at home is still a favorite toy. My girl. 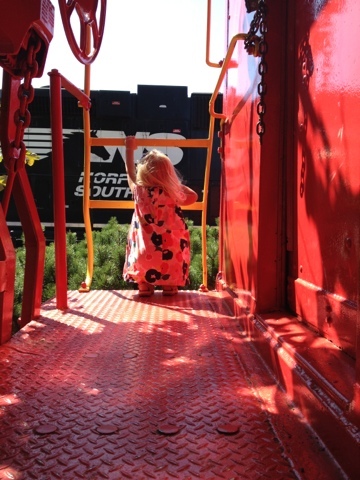 She's a princess who loves trains, cars, tutus, glitter, and anything with an engine.